The rare times, when a holiday fell on a Monday. It's a sure treat because as always, weekends don't feel enough these days. I spent my quiet time at home with my family. I'm still watching Sky Castle, my first Korean drama this year. I slept for as long as I wanted. The highlight is when I was able to convince my least adventurous family members to try Samgyeopsal. Blame all the Korean drama series I watched. I cannot anymore remember when my addiction to samyeopsal started. Years ago, finding a Korean restaurant in Manila is quite a challenge. Thankful to all the brave and innovative entrepreneurs, having a Korean meal became accessible and affordable to Filipinos. Every now and then, a Korean grill restaurant is sprouting in the city. A few weeks ago, I was complaining how the first month of the year seems to be so long. It was physically and emotionally draining. Set aside the freelance works, it was a challenging month. When February came, I told myself this will be my month of recovery. Half way this month, I can say that I'm gradually coping. I hope so ... I hope this will carry on this week until the succeeding months. I've been counting the days to weekends. As always, the best way to start the weekend is to have a great breakfast. Blame a local cooking show, I decided to have mashed potato and chorizo for weekends. It's my first time to make mashed potatoes from real potatoes. I skipped the convenient powdered version sold in supermarkets. With the help of cheese, milk, butter and bacon strips, I was able to make my own perfect version. Though I admit, the bacon was a sinful addition. ;) Maybe next time, I'll add strips of vegetables or use asparagus as side dish instead. A few months ago. I encountered a Facebook post featuring this Cafe. Its location was quite a surprise. 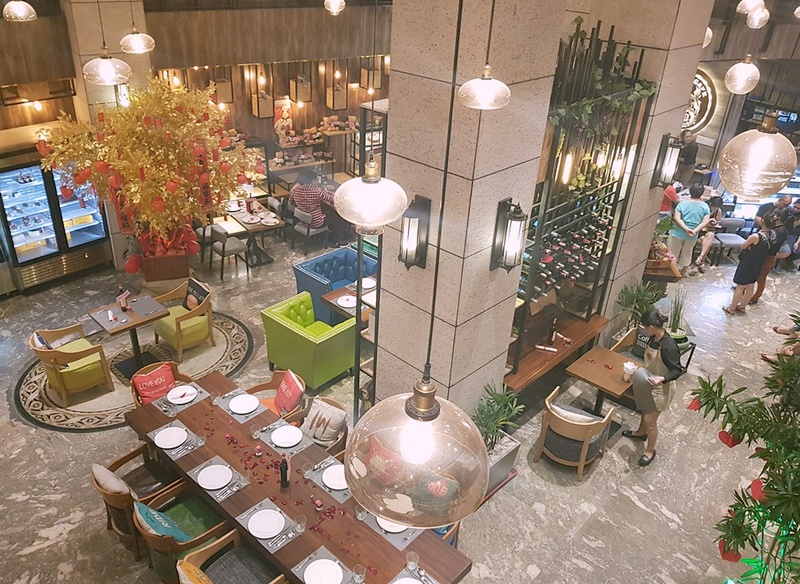 It is situated in the stretch of Juan Luna Street, a few steps from Pasig River dock in Manila and the popular arch of Binondo. The surrounding area is not really the safest place in Manila. I never imagined a grand restaurant to emerge in the area. 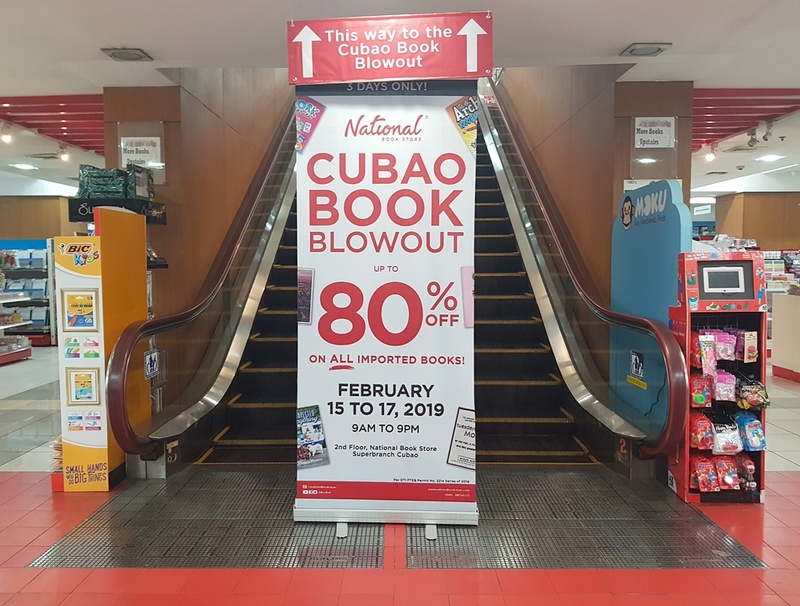 The four-storey National Bookstore in the heart of Araneta Center has always been one of my favorite places. I had so much memories from this bookstore. I visit the branch with my mother for our annual back to school shopping. In college, I relied on it for hard to find textbooks. I still remember how this branch was considered as the grandest bookstore in Manila. The ground floor was filled with the usual school and office supplies. The second floor housed the fiction reads. The third floor was devoted for text books, school references and those expensive coffee table books. It even has a coffee shop and library where anyone can grab and read a book. The last floor is my favorite. The entire floor was a home for all bargain books. As an additional treat, the glass panel windows provides a skyscrapping view of the Araneta Center. The past weekends were always spent rushing some freelance works. After several weeks, I finally have a free weekend. I didn't plan anything, all I wanted was to spent much time sleeping. I had more than enough, but as of typing this, part of me still feels that this weekend was not enough. Or maybe, I just feel lazy to return for work. The past week was quite full. It started when we braved the streets of Binondo on the eve of Chinese New Year. We had dinner and watched the dragon dance in Ongpin Street. Though I noticed, the decors and festivities seemed to lessen over time. I went home full and spent the holiday at home. On Thursday, I took time off from work and I have to say, it was a great decision. I attended to some errands, had a bowl of laksa, dropped by Landmark (the home section is my favorite) and also checked out Zara's ongoing sale. :p To all the working girls reading this post, I highly encourage taking a leave from work, when you feel the need to have it. It does not necessarily mean an out-of-town getaway. Visiting a nice place within the city, trying a new restaurant, buying your comfort food, visit the spa, sleep for at least eight hours or spend it with people, who makes you feel better. It clears your mind, provides a temporary escape and from experience, makes you a better person when you return to work. Slow and relaxing mornings - There's no better way to start the day with a full breakfast without the need tor rush for work. The past month was a mess. :( In the previous years, the first month of the year gave me accomplishments, pleasant surprises and unexpected outpour of freelance works. I'm still fortunate with freelance works. I had a minor accomplishment, a report I've been struggling to finish was finally submitted. But the mess was one for the books. As they say, same old wounds never truly heal. It will bleed at the slightest word. I learned how to become uninspired, damage your self-esteem and pretend that everything is working well. I have been wanting the month to end and so as my personal struggle. I hope February will be better. I hope misery will be replaced by recovery. I'm also looking forward for the quick national holidays this month. If resources were not a hindrance, I would have booked a travel getaway. I would probably end up visiting the mall, try another quaint restaurant in my hometown and if an opportunity comes, drown myself with another freelance work. But from the looks of everything, it feels like money holds the decision. Sad, but this is reality.